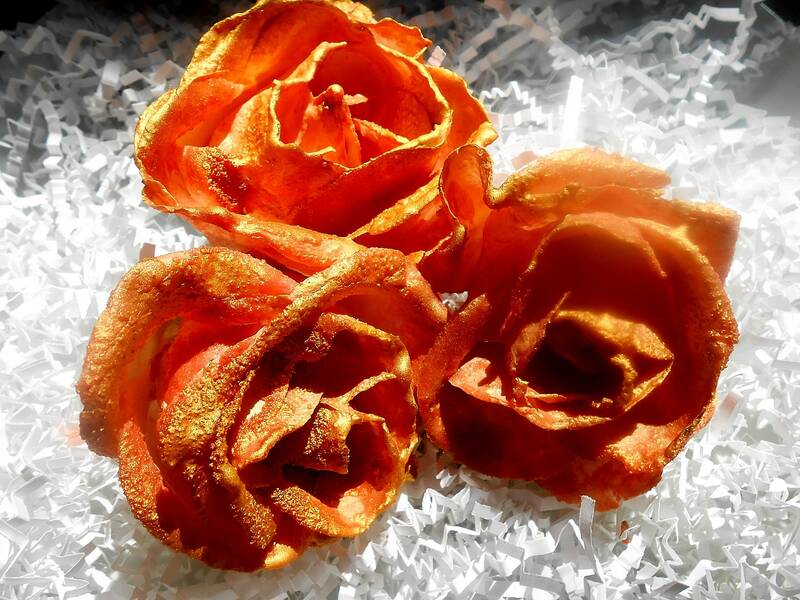 This order is for 2 or more of the Organically grown Hybrid Tea type roses seen in the photo that have been candied with sugar with a light ediible metallic gold accent and a wonderful and unique cake decoration for your special event. 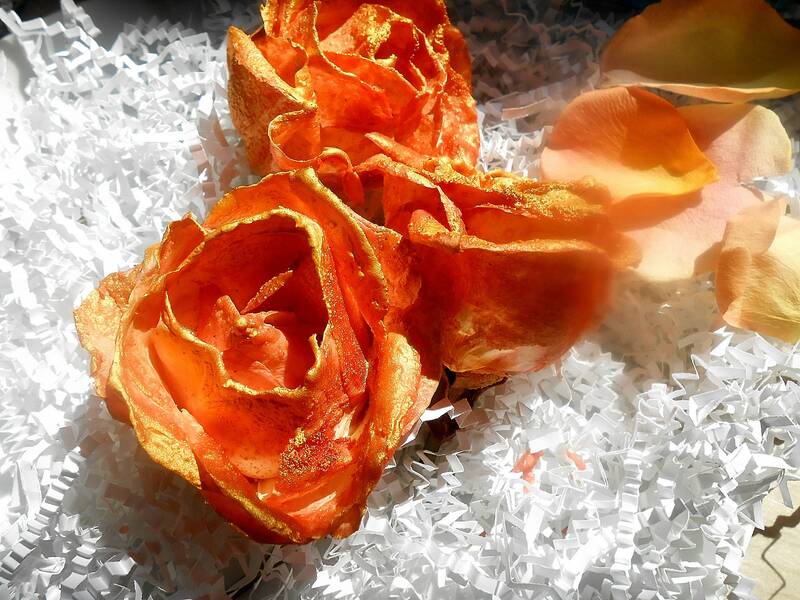 All your need is an order of fresh Hibiscus from my shop and you are in the tropics. 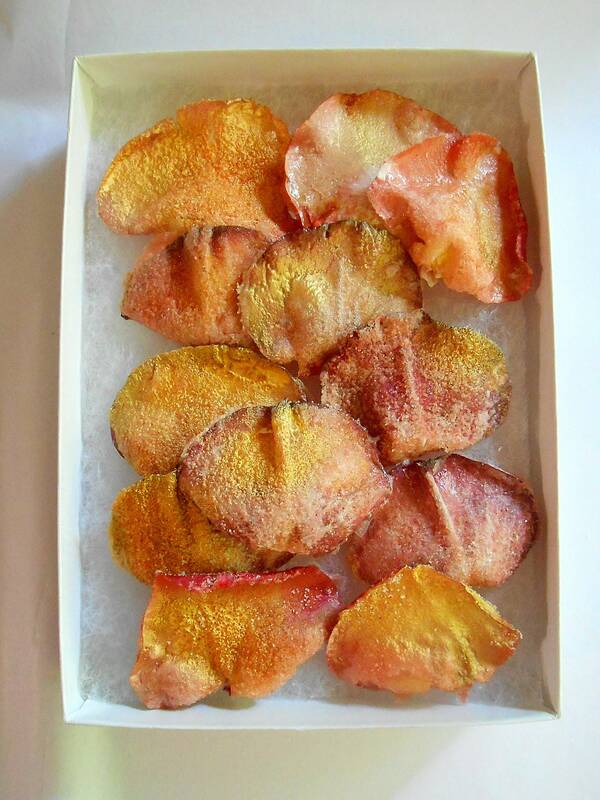 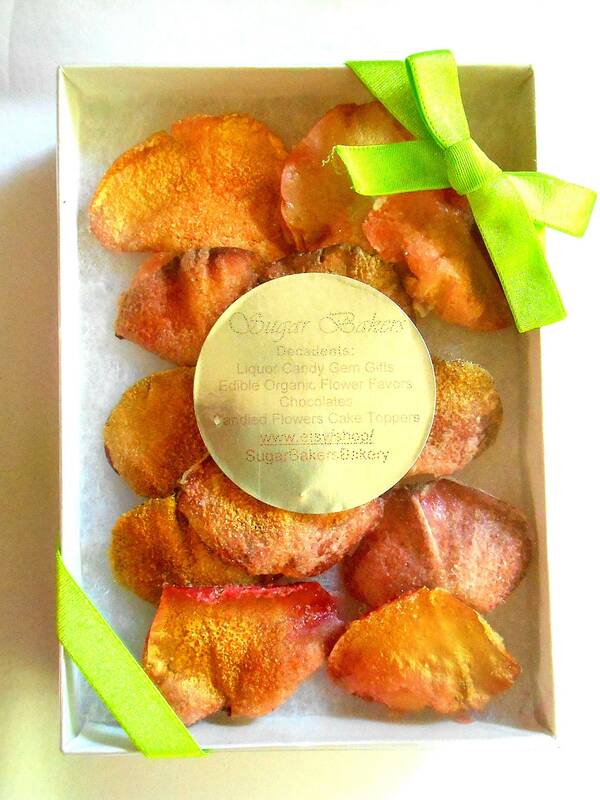 An option in the drop down box for matching colored non organically grown freeze dried real rose petals in the bright copper gold color is also available for 10 cups (over 200 Matching Freeze Dried Petals). 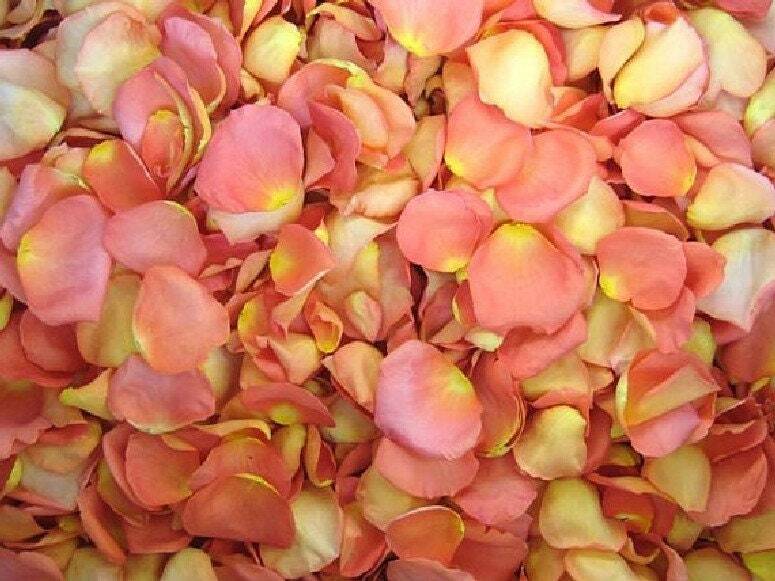 They are bio-degradable, eco friendly and therefore are allowed to be thrown at beach weddings where silk petals are not permitted. 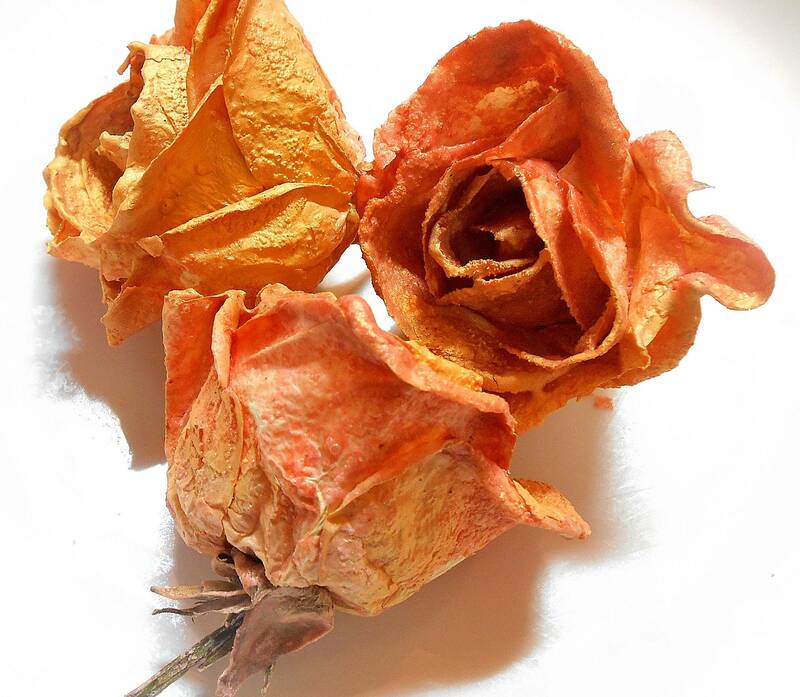 They also hold their shape as a real rose petal one the humidity in the air hits them-because they are real. 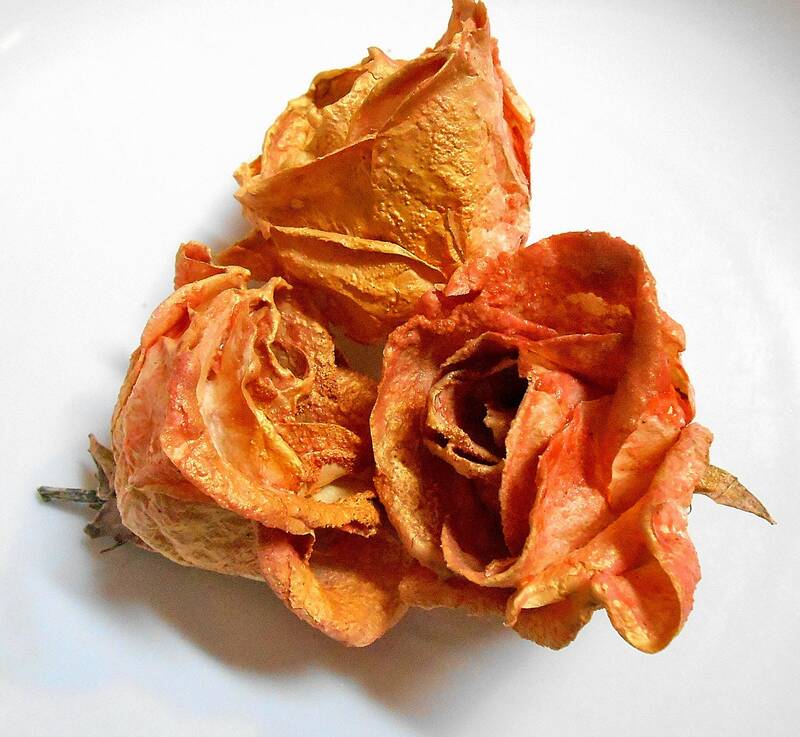 The Freeze Dried Petals are NOT Organically grown and so are for decorative purposes .